Anuja SA’s mission is to foster relationships between the two cities in various facets including Arts and Culture, Medicine, Education, Business and Commerce, and Sports and Recreation. Drawing 15,000-20,000 people downtown to celebrate Diwali every year, Anuja SA hosts the Festival of Lights in partnership with the City of San Antonio to raise awareness of Indian culture. To engage as many San Antonians and tourists as possible, Anuja SA plans the free festival at locations that are ADA-accessible and easy to get to via public transportation, while working with government and corporate partners to increase its national draw. 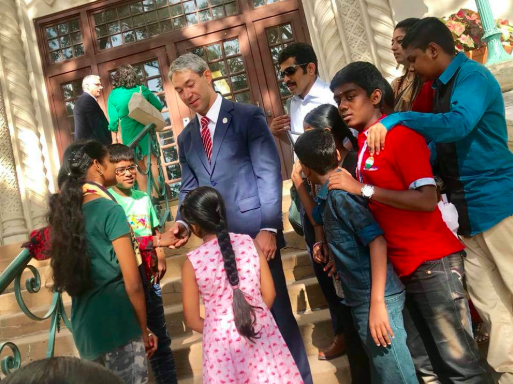 Currently in its eleventh year, the festival commemorates the signing of a Sister-City relationship between the City of San Antonio and Chennai, India. The festival won the Sister-Cities International’s Innovation: Arts and Culture Award for Excellence in 2011. Anjua SA also fosters the Sister-City relationship with Chennai through cultural exchanges and trade delegations for students and professionals in the areas of arts and culture, medicine, education, business and commerce, and sports and recreation. In this way, Anjua SA supports learning and economic opportunities for both cities.